Our favorite day is here once more! It's Chili's 8th Annual Big Mouth Burger Day! Mark your calendars, let's all celebrate the 8th Annual Big Mouth Burger Day on April 22! 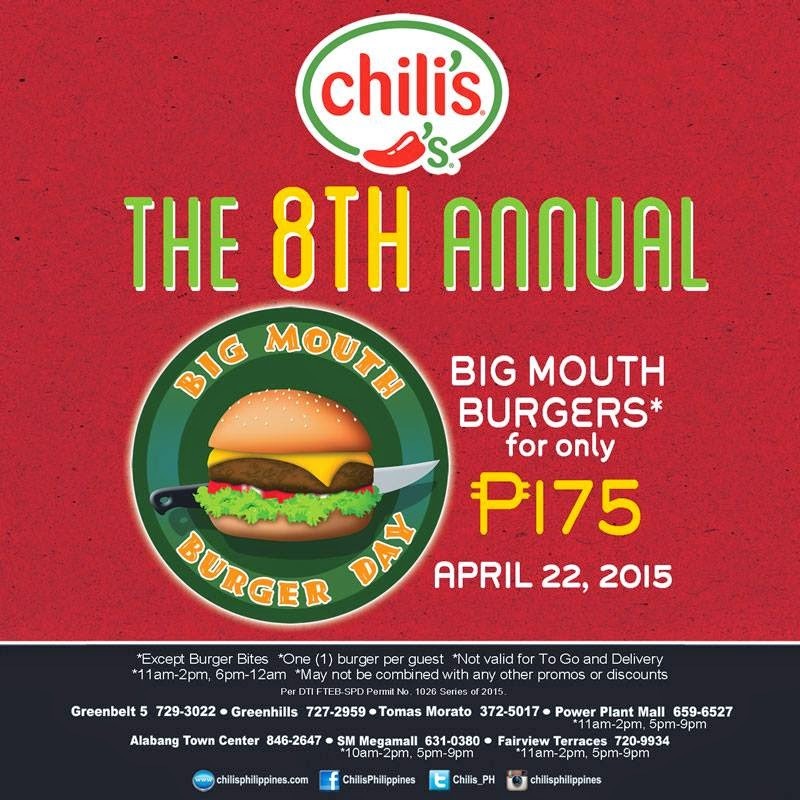 Have Chili's signature Big Mouth Burgers for just P175! Bring your friends and family and enjoy their well-loved burgers at half the regular price, their way of saying Thank You to all their loyal guests. Greenbelt 5, Greenhills, Tomas Morato, Rockwell, Alabang Town Center, SM Megamall, and Fairview Terraces.